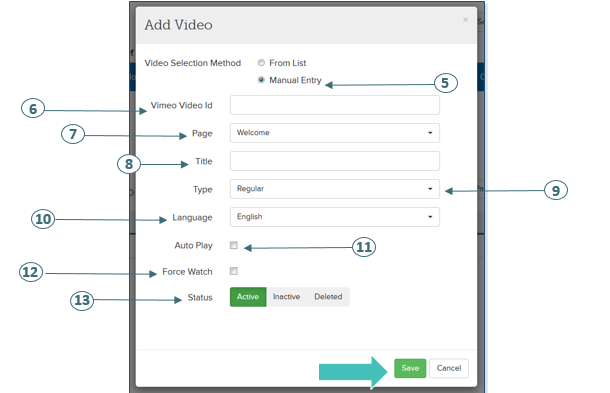 Video Selection Method - Select the radio button next to Manual Entry. Vimeo Video ID – Using your Vimeo account, input the Video ID number you would like to add. b. 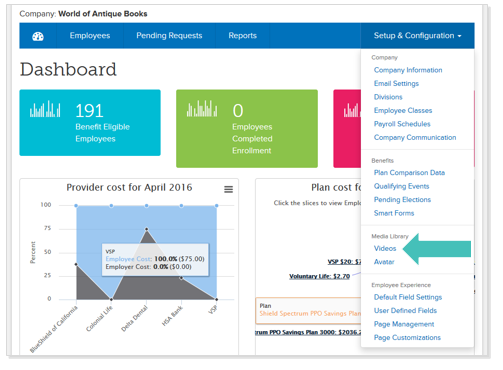 Regular – Video fits on enrollment page to the right side. Language – The language the video is recorded in. The system currently supports English and Spanish.